Every year thousands of people will plan vacations to Africa, with a majority of them hoping to see majestic creatures like lions, elephants, and rhinos in their natural habitat. 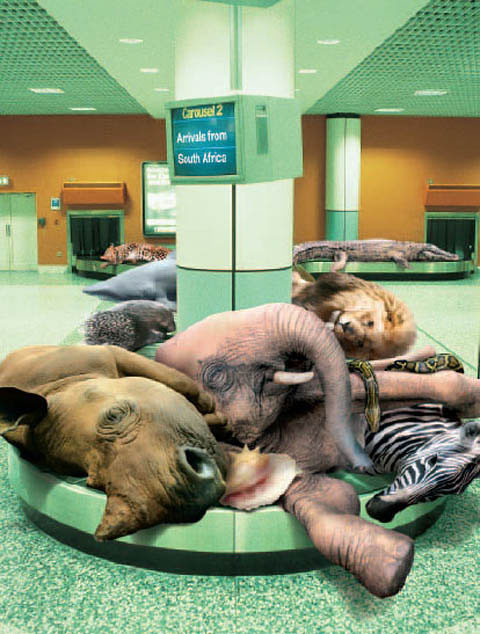 However, an increase in tourism means that the welfare of these animals could also be compromised. Some tourism outfitters cater specifically to guests seeking a photo safari, while others specialize in hunting trips. Make sure an outfitter employs trained guides and/or naturalists who know the local rules. Many companies in the region offer tours led by inexperienced individuals who lack the necessary knowledge to ensure a safe and enjoyable experience that doesn’t harm animals. Some companies will utilize a portion of their profits to support local programs, such as wildlife protection in community-owned conservancies, animal conservation outreach and education development, while also providing employment opportunities to community members. Safaris provide a rare chance for tourists to get up close and personal with wild animals in their natural habitats. However, with this opportunity comes a great amount of responsibility, hence there are park rules to keep visitors and animals safe. Off-road and reckless driving, herding, speeding, or noise pollution from safari vehicles could disturb or even spook the wildlife, putting everyone in the vicinity in danger. Report any violation to the relevant wildlife authorities, such as park or reserve rangers, conservation managers, a trusted local organization, or lodge management. Remember, animal mistreatment is bad for tourism and reflects poorly on the community, so it is important to voice concerns, respectfully, to the appropriate authorities. Upon returning home from your trip, a follow-up letter to your countries’ embassy may help to reinforce your overall concern and prompt additional action. In the wild, even the smallest piece of litter could negatively impact the entire ecosystem of a region, so visitors must remain extremely diligent throughout their trip. After all, sustainable safaris start with each of us. 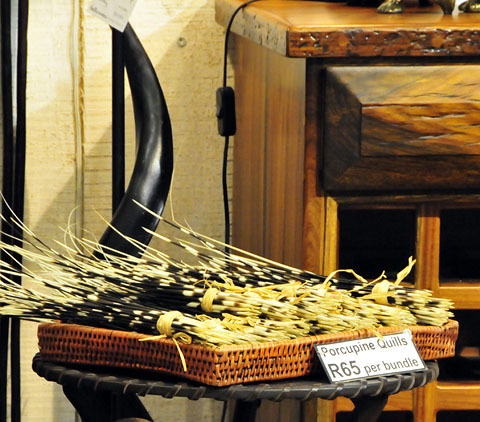 - Porcupine quill items, eg jewellery, picture frames, pens, etc. I wonder how many porcupines were killed to get this many quills...? - Elephant ivory carvings or jewellery, elephant hair bracelets, elephant skin (leather) wallets, belts, etc. - Shark tooth pendants or necklaces, shark jaws, etc. 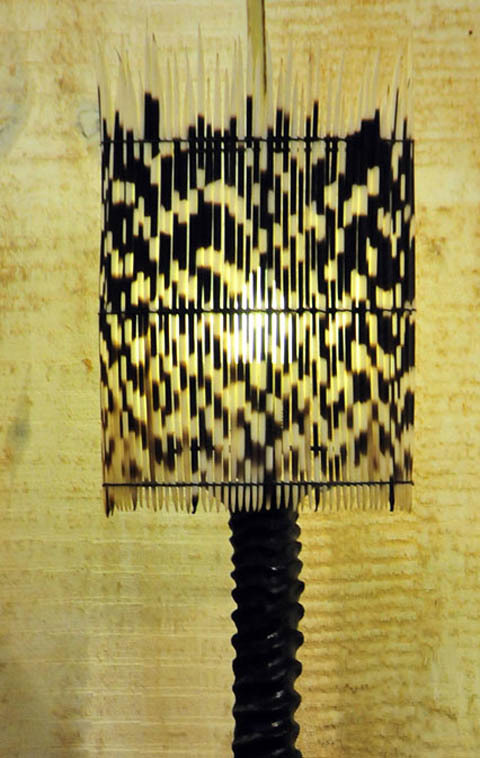 - Wild animal skin items, eg crocodile, snake, zebra, kudu, or bontebok skin: rugs, coasters, drums, handbags, furniture. To bring back many of these items is illegal, or requires permits. For more information please click here to download the What are you really bringing back with you from South Africa? leaflet that includes IFAW's Big Five Top Tips for a wildlife-friendly holiday. Sustainable Safaris are possible if we will just think before buying curios, report unethical practices and spread the word to our friends and families.